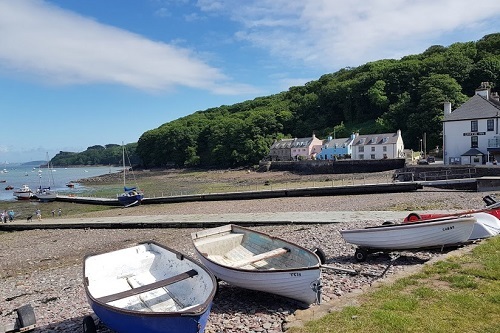 #MySundayPhoto was taken a little further afield than usual this week: in Pembrokeshire, Wales, where Misery Guts was attempting to run all 186 miles of the coast path (if you want to know what happened you can read all about it in my post why I want my kids to fail). We live by the sea so it was nice being by the sea somewhere else – this is Dale, where the kids had lots of fun looking for shells and crabs as we waited for Misery Guts to run by. Have you ever been to Pembrokeshire before? What a gorgeous place to visit…. What an undertaking, he did so well even if he couldn’t finish. Beautiful area to photograph.